People have long been fascinated by the beauty of iterated symmetry, but what makes these patterns so alluring? 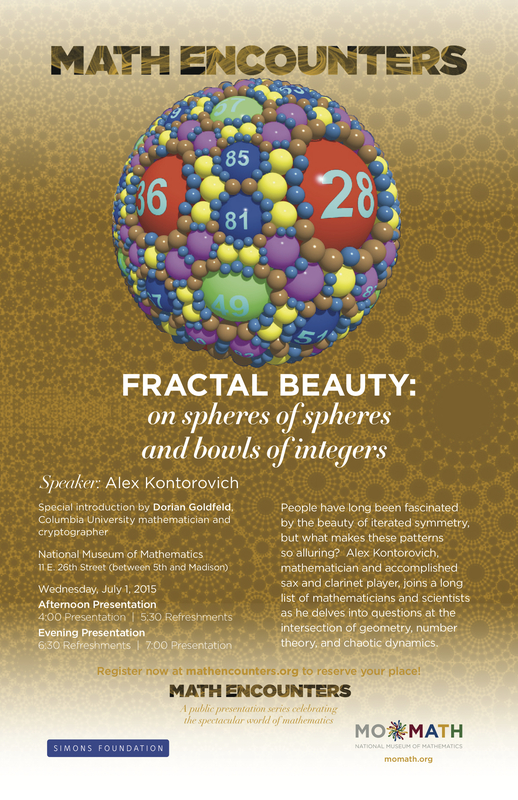 Alex Kontorovich, mathematician and accomplished sax and clarinet player, joins a long list of mathematicians and scientists as he delves into questions at the intersection of geometry, number theory, and chaotic dynamics. If you would like to register for the 7 pm presentation instead, click here.